Welcome to the mythic island from the Legend of King Arthur. Famous Excalibur was created there, and the Lady of the Lake herself had it in her keeping. 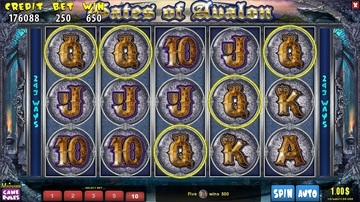 MainamaGames gives you an opportunity to touch one of the most beautiful ancient legends. Get into the charming magic world. 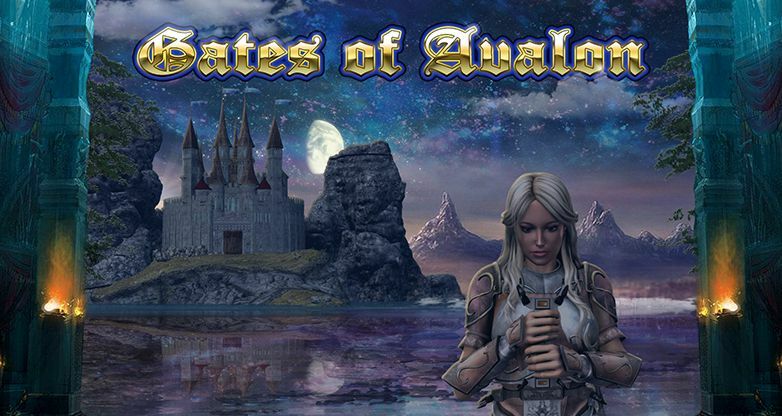 Try to unravel the mystery of Avalon and find its treasures. Incredible graphics will leave a lasting impression. And don’t forget about high wins. A castle symbol is a wild. It substitutes for all the other symbols except the Lady of the Lake. She is a scatter symbol. 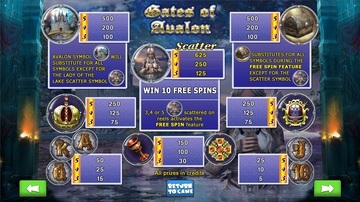 3 or more scatters trigger 10 free spins. 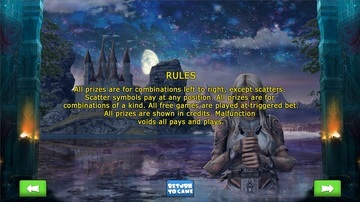 A chest becomes the wild symbol during this bonus game. Play this slot to see how amazing it is. 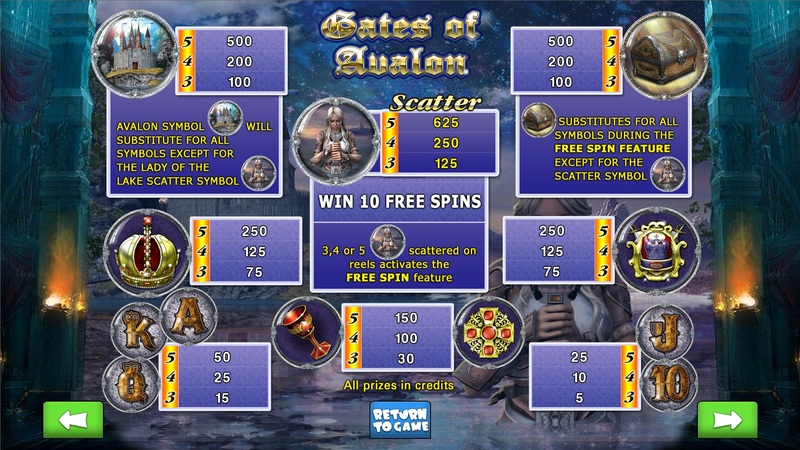 Legends come true right before your eyes in Gates of Avalon. Welcome to the mythic island from the Legend of King Arthur. Famous Excalibur was created there, and the Lady of the Lake herself had it in her keeping. 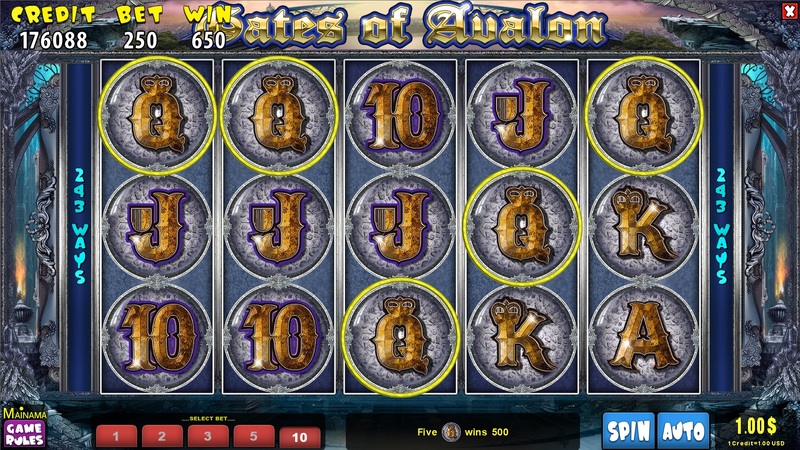 MainamaGames gives you an opportunity to touch one of the most beautiful ancient legends.